>It’s been a big week! I bought a house for one kid and married off another! Saturday was by far the best weather day out of all the days in the last two weeks. 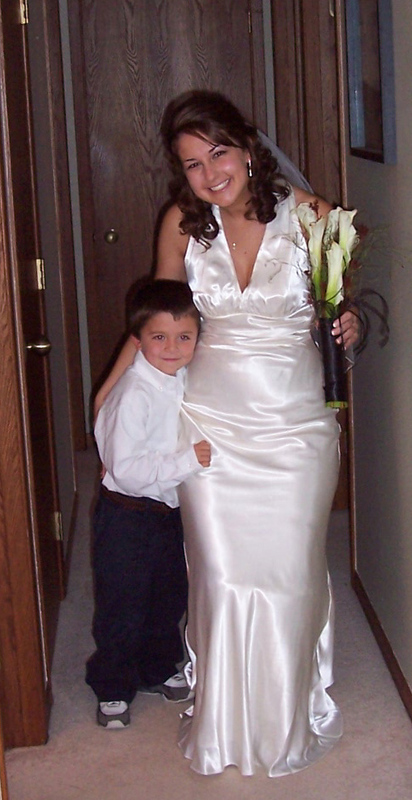 It was also the day my daughter, Ariel, married Nick. Since it was an outdoor wedding, we spent all day thanking our benevolent God! Before the wedding, I fastened Ariel’s necklace for her. Ariel talked Nick’s nephew, Luke, into a quick pre-wedding photo shoot with her. 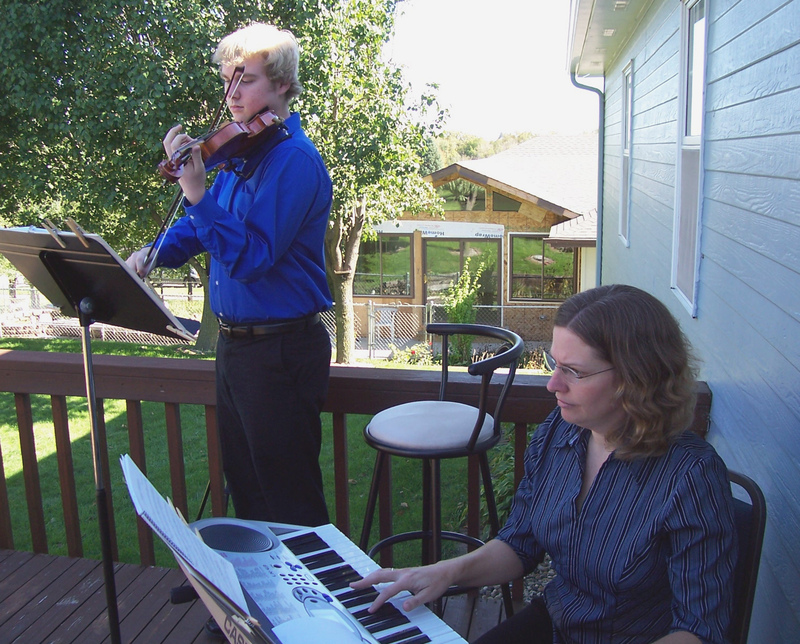 My nephew, Jonathan, expertly played his violin at the wedding and reception, accompanied by his mom, Norma. 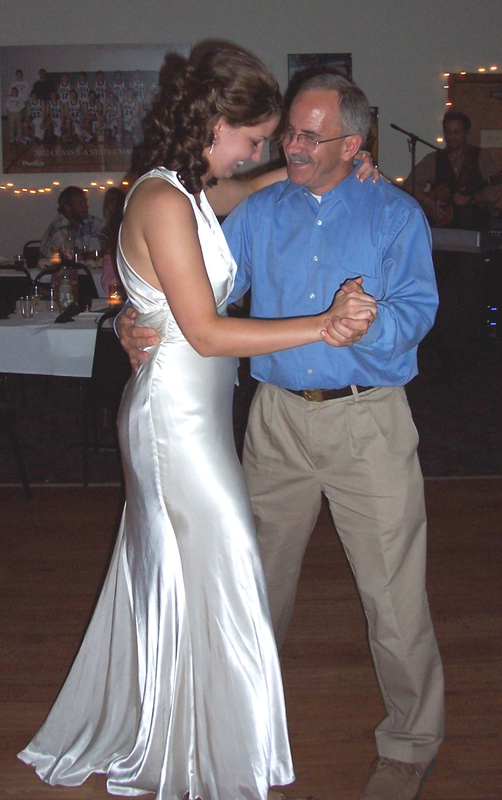 After the newly married couple shared their first dance, Dave and Ariel enjoyed a “father-daughter” dance. The outdoor wedding was beautiful; the weather was perfect, and Pastor Chris had a good message. The reception was great fun with many people enjoying bowling and a terrific band. We don’t think Ariel could have gotten a better father and mother-in-law than Lee and Pat, and we rejoice to welcome Nick into the family as our new son-in-law. May God grant Ariel and Nick every good and perfect gift as they live their lives together before Him!